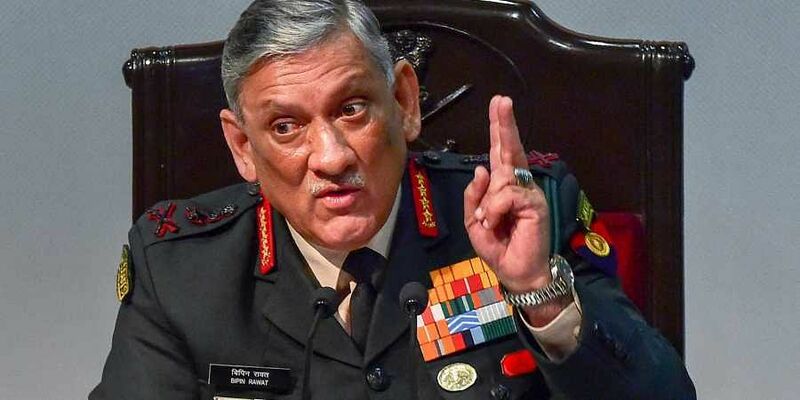 Referring to army action to destroy terror hideouts along the Myanmar border, General Rawat said the Indian Army would not let any terror organisation use Indian soil to carry out terror activities. LUCKNOW: Issuing a strong warning to cross border terror outfits, Army chief General Bipin Rawat, on Saturday, made it clear that Indian authorities would not shy away from resorting to strong military action against Pakistan based terror groups yet again if it failed to stop pushing terrorism into India. General Rawat, who was in the state capital at the concluding ceremony of Medex-2019 the field medical exercises of ASEAN and ASEAN Plus countries— said terrorism on Indian soil would not be tolerated. He was speaking at the convention. Claiming that Indian Army was fully prepared to take action against Pakistan if they meddled with the peace of India, the Army chief said the army was ready with the plan to take action against terror camps still active in Pakistan. “In future also such strikes will continue. If atmosphere will be vitiated, we will act again,” he said adding that if needed, the army would take action in consonance of political decision irrespective of the ongoing elections. “Elections do not impact Army’s action,” he stated. The army chief elaborated by saying that plan to target Lashkar camps was also ready and that the Indian army was capable of facing any challenge in the aftermath of airstrikes. Referring to army action to destroy terror hideouts along the Myanmar border, General Rawat said the Indian Army would not let any terror organisation use Indian soil to carry out terror activities. On joint raids recently conducted by Indian and Myanmar armies on terror camps at the border, General Rawat said he couldn’t divulge the number of camps destroyed but this exercise would continue in future as well.